So can anyone guess what this stuff is? Is it my latest granola recipe? An experimental garden mulch? A failed attempt at flower drying? 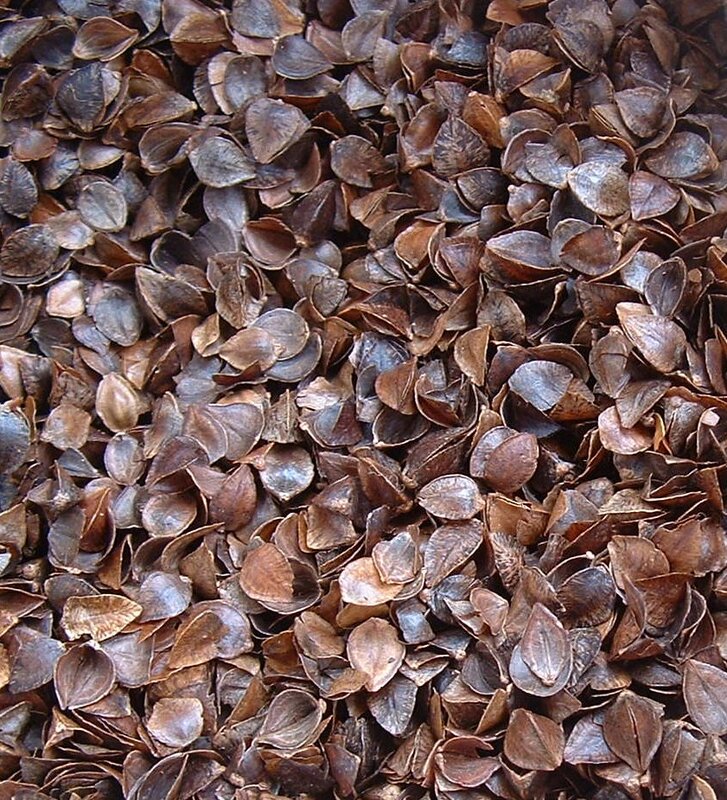 They’re actually my favorite thing to sleep on – buckwheat hulls! What you’re looking at is what’s inside the pillow that I sleep on every night. I bought a pair of these pillows several years ago when my husband and I started to have neck troubles, and now we can’t sleep on anything else. The thing I love about them is that they mold into just the right position to support your head and neck (kind of like a water-filled pillow without the waves). Thankfully, despite their rather crispy appearance, they don’t make a crunching sound when you’re sleeping on them (which was initially my husband’s biggest fear about them). Though they may take a little getting used to, once you’ve adapted to them, I think they’re the most comfortable pillows out there, and are a great alternative to the chemical and petroleum cocktail that makes up conventional pillows. They’re filled with an organic, renewable, non petroleum-based material, and when they have gotten too old to use anymore, we can just throw them on the compost pile (or use them as an experimental garden mulch)! 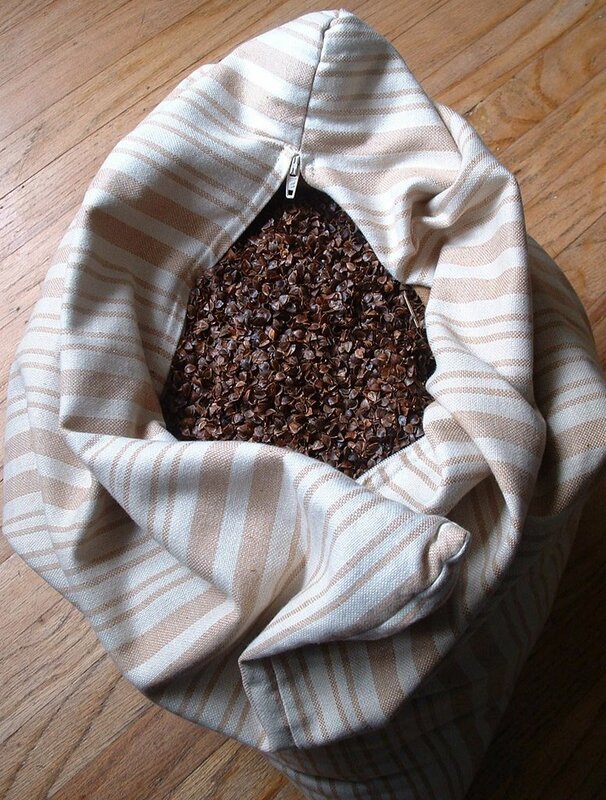 To learn more about buckwheat pillows, click here. ← The tomatoes are ripening!! I don’t know if I can give up my goose down and catnip pillow. The catnip helps me sleep when I have a migraine. I’ve heard of people putting sachets of herbs in the buckwheat pillows, I may have to try that. Is catnip better than something like lavender? Me too! I’m totally dependent on mine. I even bring it when I travel. LOVE IT! We bring ours with us too! My husband would mysteriously seize up from his shoulder blades to his neck whenever we went anywhere, and we finally realized it was the pillows! I prefer Catnip. If you like the smell of lavender, then I would use it.